If you all have watched the popular reality TV show, Fast N' Loud on Discovery Channel, then you must surely know who is Richard Rawlings. The 49-year-old star and owner of Gas Monkey Garage Richard Rawlings is quite a woman charmer but sorry ladies. he's already taken as he's married to his lovely wife Suzanne Mergele. This amazing couple shares a painful yet inspiring story behind their relationship. If you want to know what it is, keep scrolling down. Their marriage started to fall apart gradually and after a decade-long marriage, the unhappy couple decided to get divorced in 2009! Richard blamed his show and busy schedules for his separation with wife Suzanne. True love never fails to succeed and the love that Suzanne and Richard shared proves this to the point. After five years of divorce, the estranged couple finally found their way back to each other. Tables do turn!! The two traveled to Cabo to surprise their mutual friend Dennis Collins on his birthday, but instead, this amazing pair reunited and got married! “It was spur-of-the-moment down in Cabo in January and I am very happy about it”. quoted Richard when he was asked about his remarriage with Suzanne. They have been in a wonderful relationship and we really appreciate their love and affection towards each other. In January 2013 Richard and Suzanne attended a charity event at The Back 9 sports bar close to Dallas in which David was a celebrity barkeep. Well, the pair is having the best times of their life, going strong together and we hope the duo make it to the last till death do them apart! And we also wish they soon welcome their children and start a happy family together. 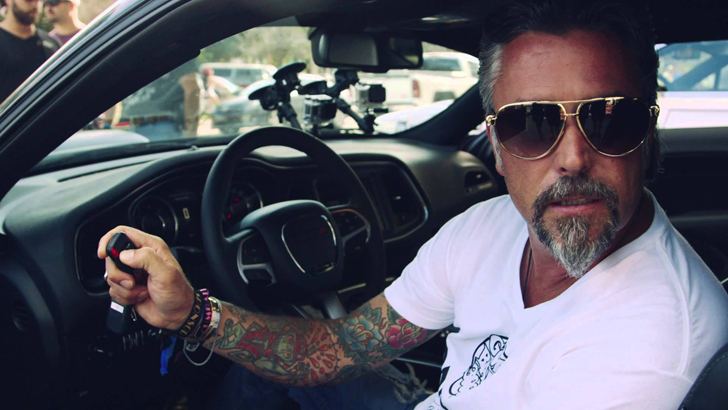 Born and raised in Fort Worth, Texas, Richard Rawlings is a famous reality TV star, auto mechanic, and entrepreneur. Popular by his show Fast N' Loud on Discovery channel. Had the passion for automobiles and machinery since an early age and got his first automobile when he was 14. Graduated from Eastern Hills High School. has served as a firefighter, paramedic as well as law enforcement officer. was married to Karen K. Grames for one year. Richard is also a veteran of cross-country road rallies. He won the Gumball 3000 and the Bullrun twice in a row. He is the present world record holder in the Cannonball Run. He broke the record that stood since 1979 by covering a total of 2,811 miles starting from New York and ended in Los Angeles in a total time of 31 hours and 59 minutes with an average speed of 87.6 miles per hour. His net worth is estimated to be about $15 million.